This past weekend (long weekend) I visited friends at Potsdam University just outside Berlin Germany. 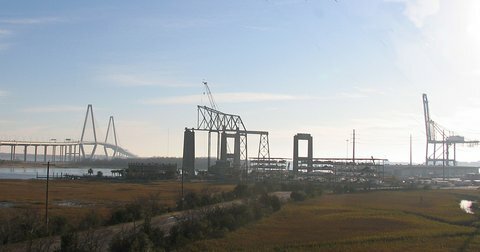 Watching the building of the Ravenel Bridge and now the unbuilding of the Grace and Pearman Bridges has been a delight but also has opened my eyes to building and unbuilding in other political settings. With my curious eyes open, I spent Saturday with my friend touching a part of history that I had only read about or seen on television. 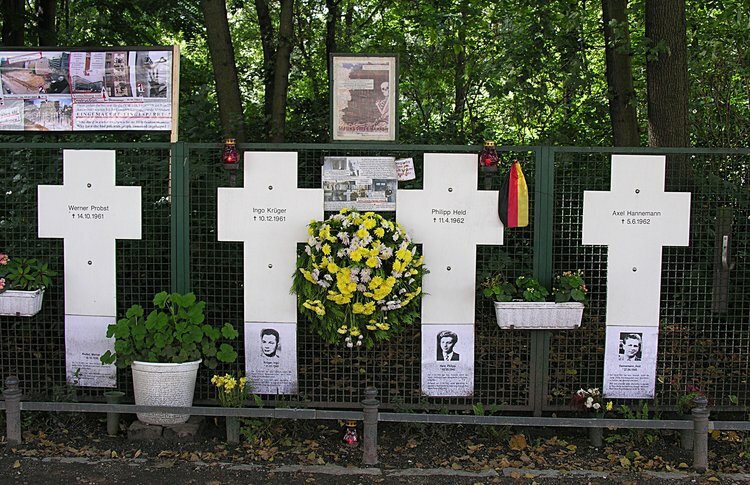 It turned out that coming to Berlin for the first time was difficult - and brought back memories from 15 years ago. In November of 1989, a German colleague was visiting me at Duke and he I were talking and discussing the impact of trainloads of East Europeans migrating through Hungary into Germany. 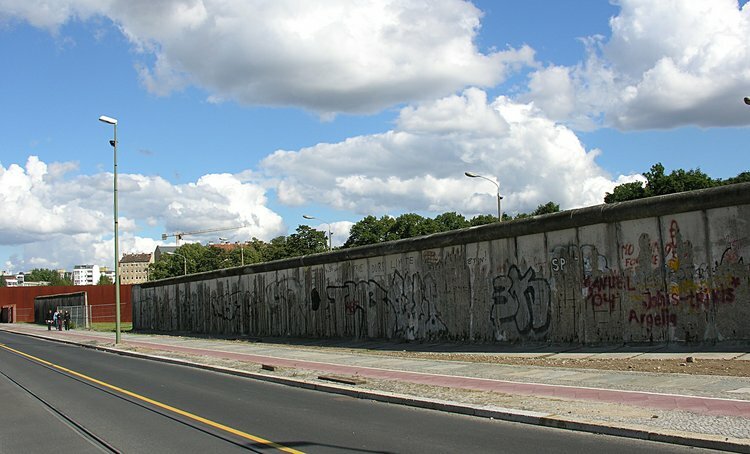 I asked if he thought the Berlin wall would ever come down and his immediate answer was "not in my life". 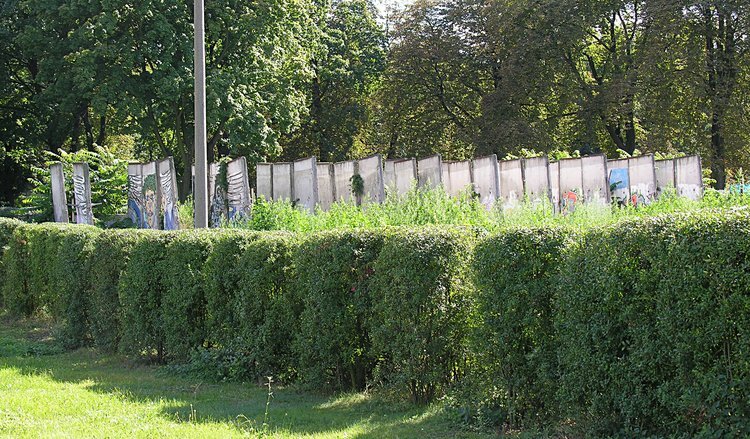 That evening, on the 6:30 news, we watched the impossible - the first cracks on the Berlin wall. 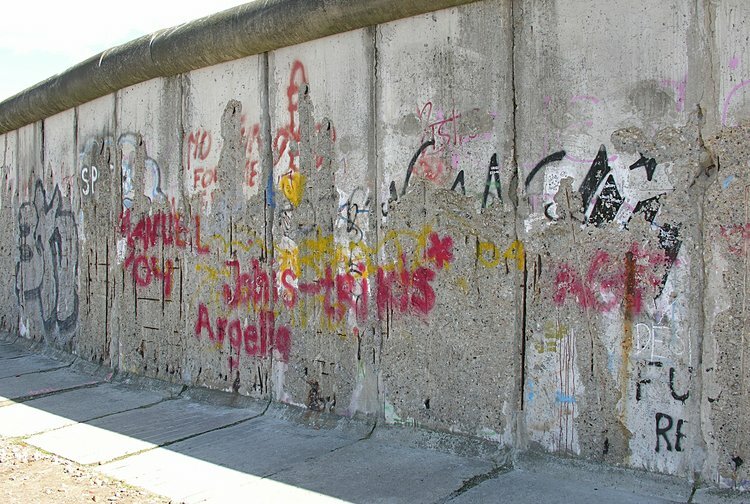 So within this context, I asked my friends to take me to the wall - as this was quite personal given my conversation 15 years ago. 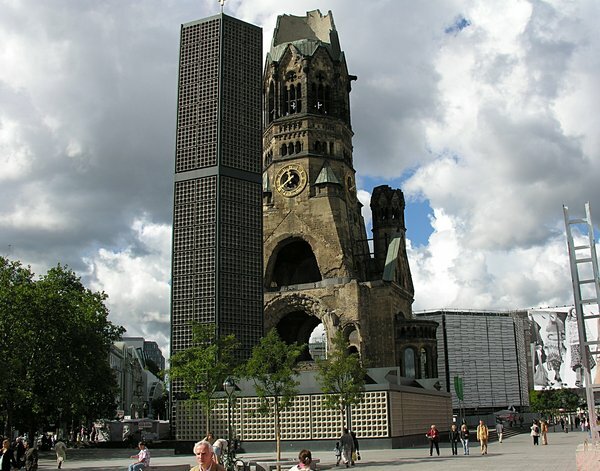 On our way to the wall, we passed this church - the result, I suppose, of Allied bombing raids. 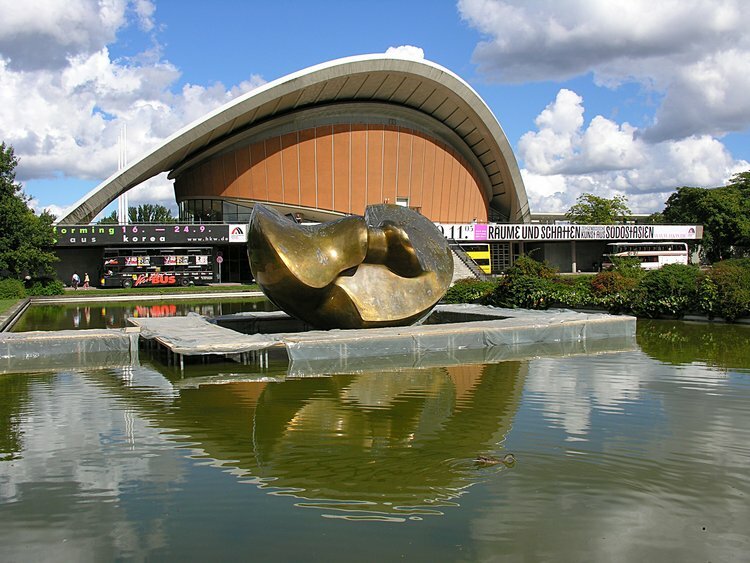 Its state is a reminder of a rather destructive type of unbuilding. 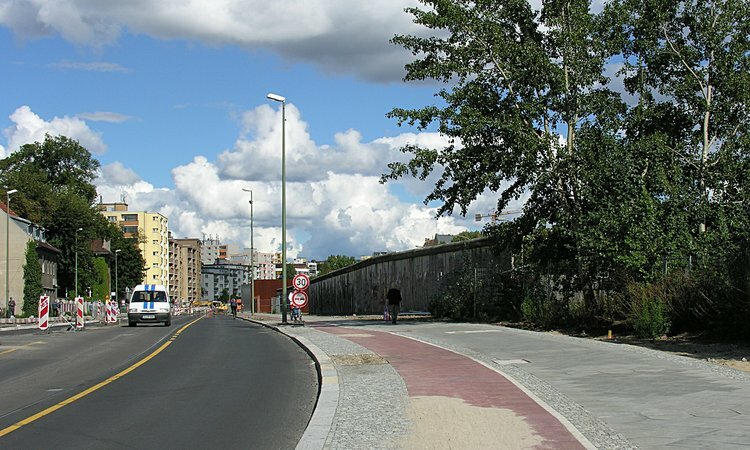 The development of a new unified Berlin is nothing short of dramatic. Look at the reflections of the new cultural center. 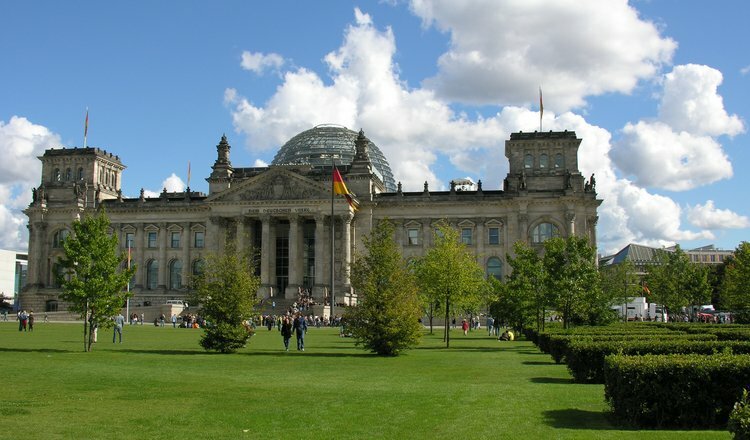 In Berlin, lakes, parks, bicycle paths - everywhere. A big city designed for people, comfort and a quiet spirit. 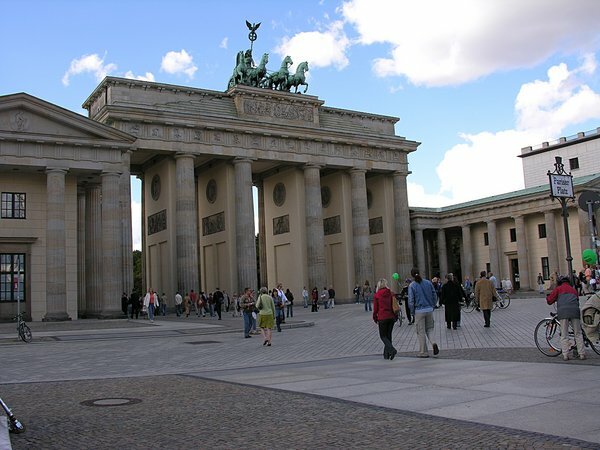 Soon we arrived at the Brandenburg Gate - otherwise known as Checkpoint Charlie during those dark days - and filled with intrigue from not only the reality of Soviet-West uncertainties, but from John le Carre's spy novels. and next to this were reminders of the deaths of those trying to escape. 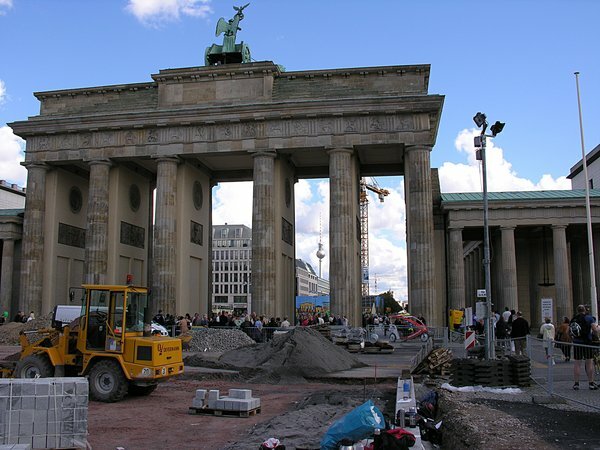 As you look from the northern side of the Brandenburg gate, rebuilding is everywhere. Looking from the south, the reconstruction was less obvious - though there was rebuilding everywhere. 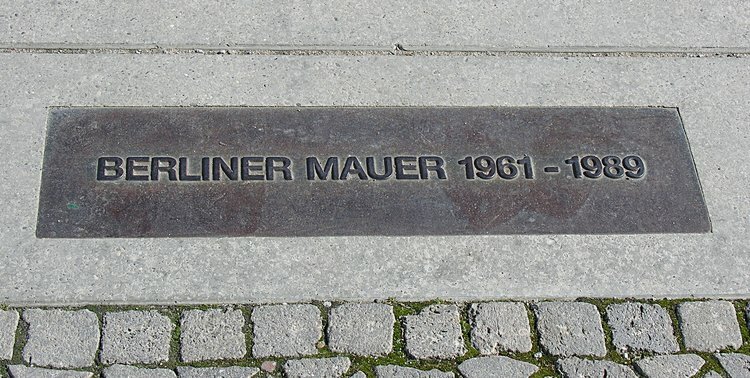 and for some distance, a strip of granite marks the path of the wall. Now to find the wall. 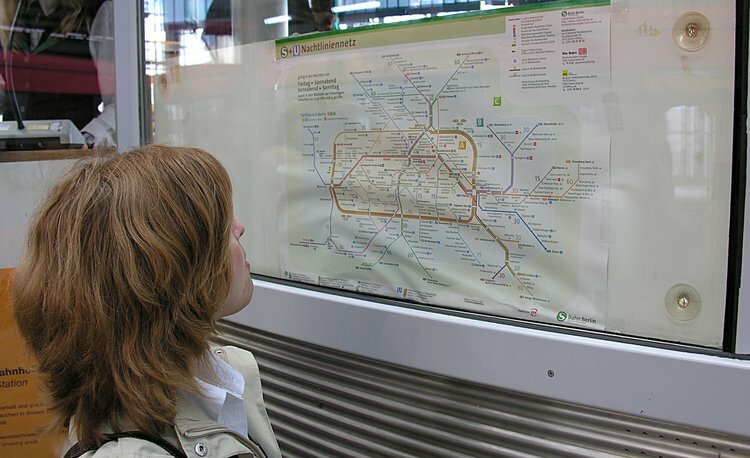 The Berlin public transport system is designed for people and convience. 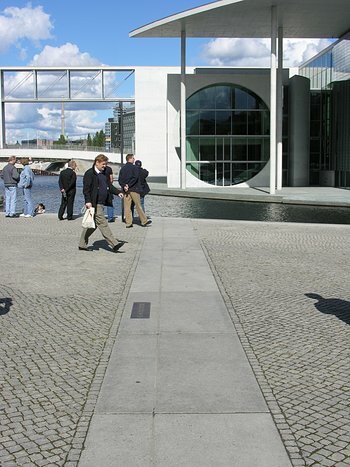 We had no difficulty locating the path from the Brandenberg Gate to the Wall. Hidden behind the wall was a collection of wall segments - reminding me of the stack of 7 foot wide roadway segments removed by Testa from the Pearman bridge. 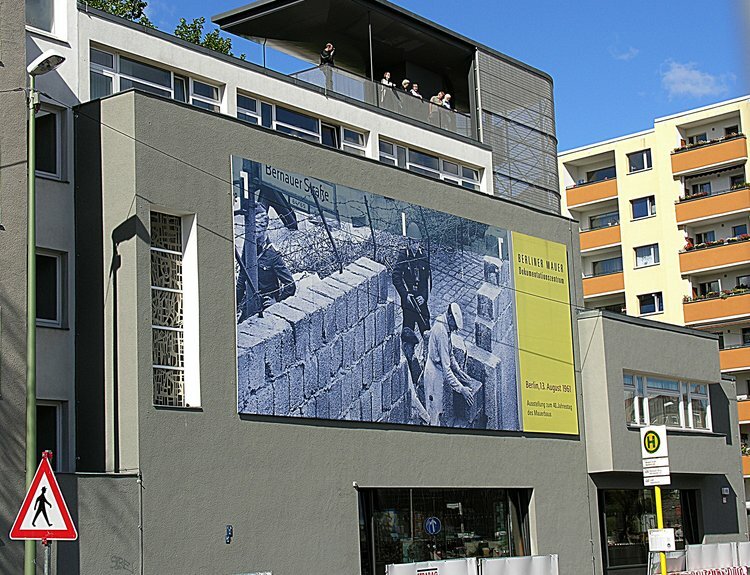 Across the street was a berlin_small museum that described many of the events surrounding the building of this wall. The photo tells the story.